Amazon's Purchase Limit for Free Shipping Just Went Up! Amazon’s Purchase Limit for Free Shipping Just Went Up! There’s nothing quite like scoring free shipping when shopping online 7 Ways to Score Free Shipping on Every Online Order 7 Ways to Score Free Shipping on Every Online Order Here are seven ways you can get free shipping when you shop online. Read More , and if you weren’t aware, there’s actually a way to get free shipping on Amazon without Prime How to Get Free Shipping on Amazon Without Prime How to Get Free Shipping on Amazon Without Prime Amazon Prime is great, but here's how you can get free shipping on Amazon even without a Prime membership. Read More . Yep, that’s right! All you have to do is spend at least a certain amount at checkout and Amazon will cover the cost of shipping. A lot of online retailers do this, but Amazon was notable because its minimum was surprisingly low at $35. Unfortunately, Amazon raised that minimum purchase limit from $35 to $49 without so much as an announcement or an email. That’s just under a 50% increase, which is definitely a wet blanket for anyone who relied on this feature for free shipping on Amazon. There are a lot of reasons why Amazon might’ve done this, but no one can deny that this makes Amazon Prime seem like a better deal now Is Amazon Prime A Good Deal? Is Amazon Prime A Good Deal? Amazon Prime seems like a great deal, but is it? We dig into the benefits to figure out if they're worth the $99 per year. Read More . After all, Prime is only $99 for an entire 12 months — and you get free shipping on any Prime item no matter how little you spend. Not to mention all the additional benefits you get with Amazon Prime 10 Awesome Amazon Prime Benefits You May Have Overlooked 10 Awesome Amazon Prime Benefits You May Have Overlooked Free two-day shipping is just the beginning. Here are some notable Amazon Prime subscription benefits you may not know about. Read More , including an entire library of music that you can stream through Prime Music Why You Should Give Amazon Prime Music a Second Chance Why You Should Give Amazon Prime Music a Second Chance There are several reasons why you might want to give Amazon Prime Music a second chance. It certainly deserves much more credit than it's currently getting. Read on to find out why. Read More . How often did you use the non-Prime free shipping limit? With this change, are you more likely to pick up a Prime subscription? Or will you just shop less often at Amazon? Tell us in the comments below! Explore more about: Amazon, Amazon Prime, Online Shopping. I'm not sure if this will pay off for Amazon. I've always ordered $35+ at a time to get free shipping. I can always find something I can use to make up the difference if need be, and spending $35 doesn't seem to bad. However, if I really wanted a $20 item to start with, I might balk at finding another $29 of stuff to get free shipping. I'll just get my friend who has Prime to order what I want, and not bother to find extra items to make up the difference. Yeah, $49 is a big leap over $35. But if you shop that often, why not upgrade to Prime yourself? It comes out to just over $8 per month, and you get so much with it. Even at nearly $100 annually, Prime membership is still the best money I spend in a year. We have at least two or three shipments a month from Amazon, so the amount we save on shipping more than pays for the Prime membership, and I look at the streaming video and music as bonuses. Of course everyone doesn't order things as frequently as we do. 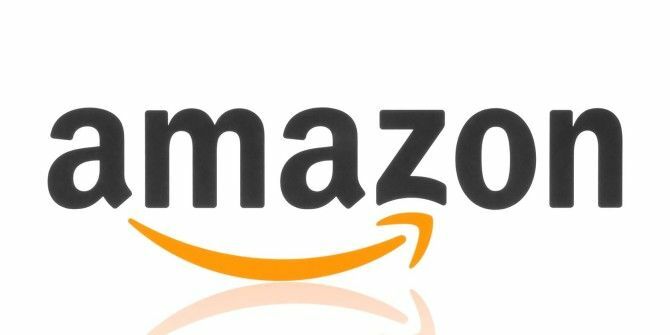 Amazon has the right to raise their free shipping minimum to whatever number they choose, and customers have the right to shop with another retailer. In the end, most people will complain but do nothing else. That's what Amazon is counting on. They don't care how much people complain, but actually shopping elsewhere (and letting Amazon know about it) might get their attention. People are notorious for complaining about things, making threats, but failing to follow through. People were swearing to leave Netflix in droves a few years ago over a price increase, but there was no bite to go with the bark. Netflix weathered a few days of bad publicity and is now more popular than ever. Action is what any business understands. Earlier this year, The Premier League's Liverpool club announced a ticket price increase set for next season. Fans protested and staged a walk out numbering in the thousands during the closing minutes of a match against Sunderland. It was quickly announced that there will be no ticket price increase next season. Agree with everything you said. Well put, Colonel! Usually, you can buy the item you want from a secondary vendor on the list. They usually charge shipping, but they're selling price by the amount of the shipping is less than Amazon's; thus the net effect is "free shipping". I remember when the very same thing happened the last time...what?...a couple years ago? Free shipping went from $25 minimum to $35 literally from one order of mine to the very next one. They got me on that one...and it took me a while to get over the grrrrrrrr feeling. I keep several wish lists of different categories of small filler items so that I can buffer up to the minimum, but this is getting ridiculous. E-Bay is loving Amazon though, I suppose, because if others are like me, there will be a lot more customers on their site. My patronage on E-Bay had already increased because of the previous low blow. The requirement (not quite a "limit") USED to be $25, then it went to $35.